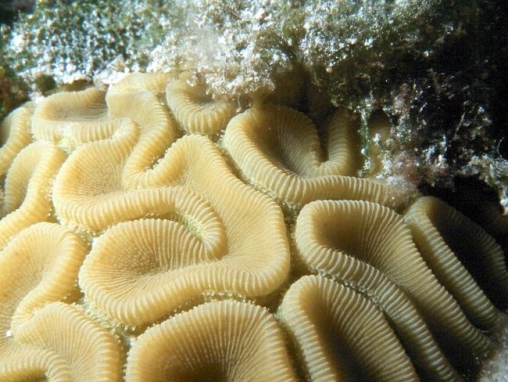 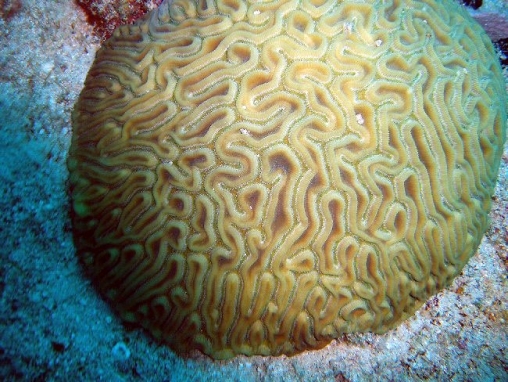 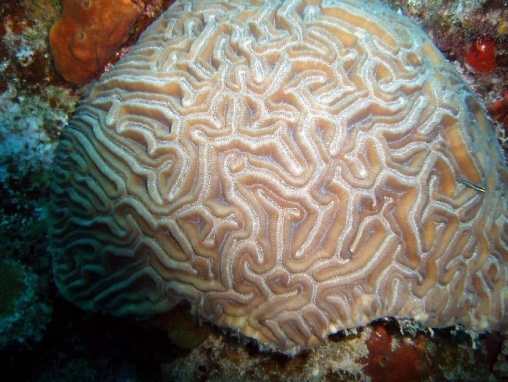 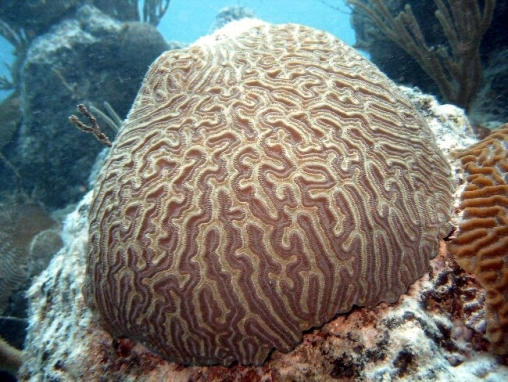 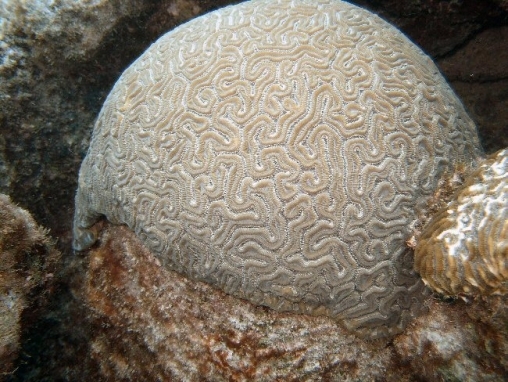 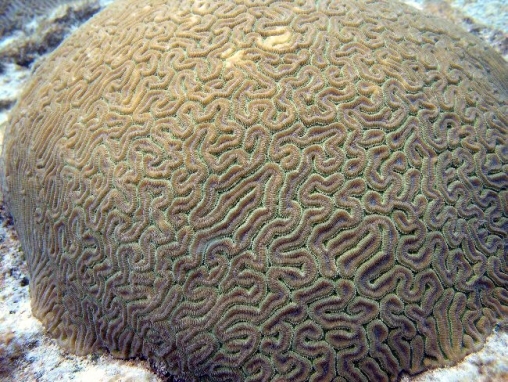 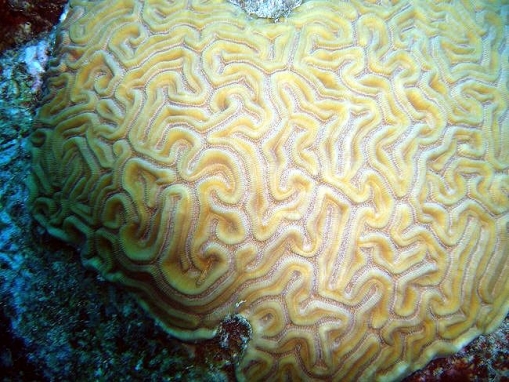 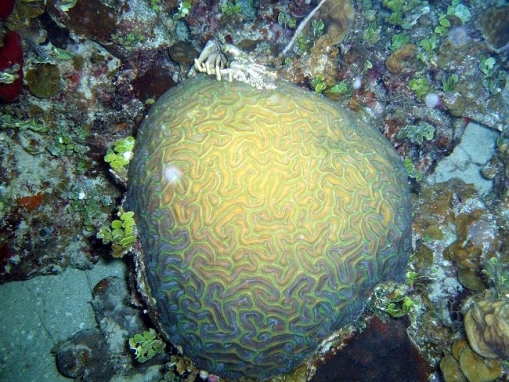 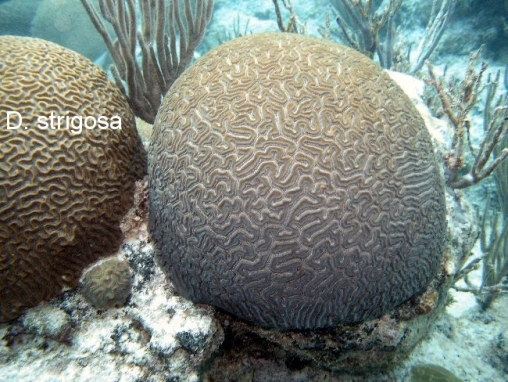 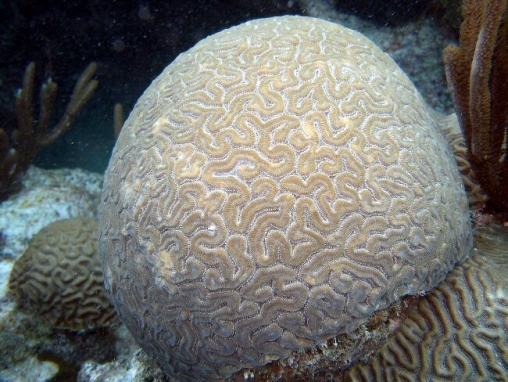 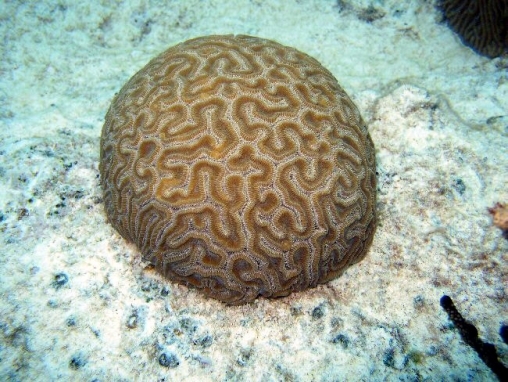 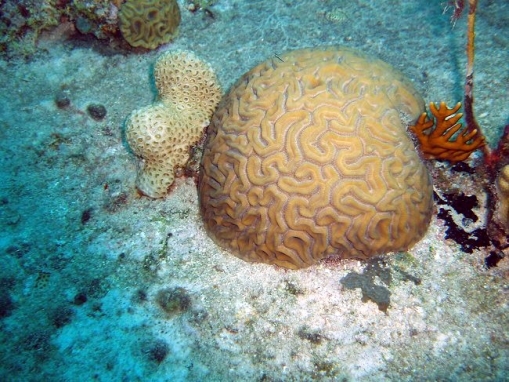 A brain coral, unmistakable because of its ’double-valley’ character. 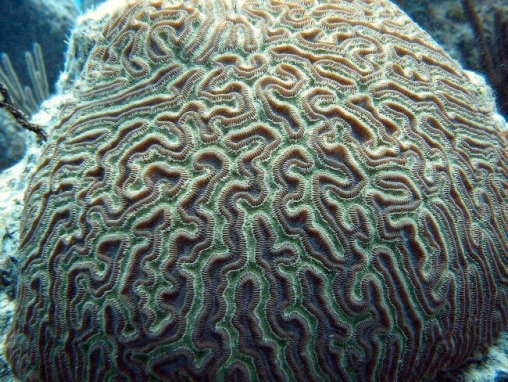 This double valley is a groove on the ridge called an ambulacra. 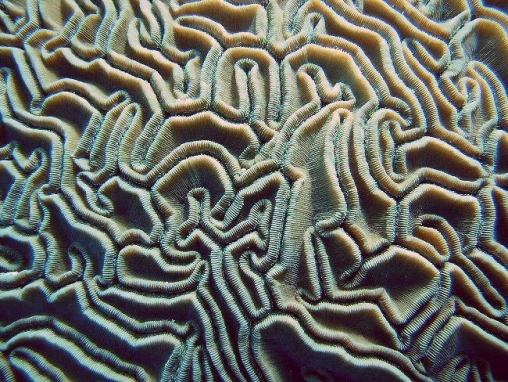 Valleys are long and meandroid, but along each very broad wall is a groove, the width and depth of which are usually as great as those of the valley containing the polyps and their tentacles. 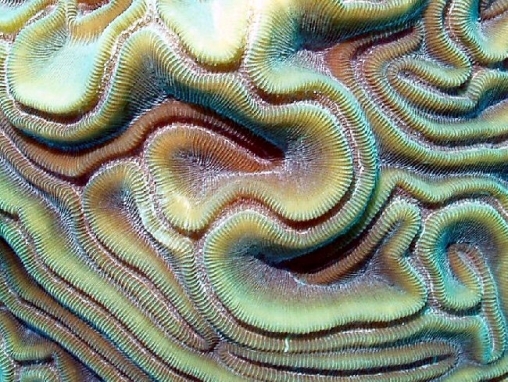 In many cases, especially on convex surfaces, the wall and its groove may be considerably broader than the true valley. 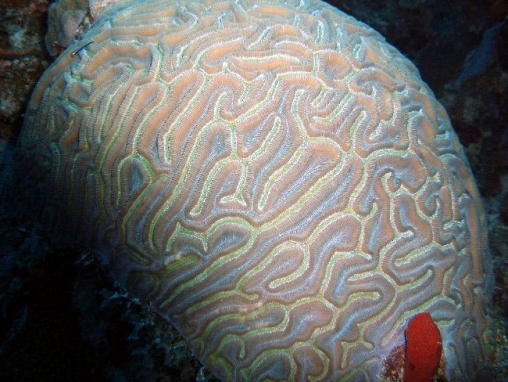 The colour of the valley may differ markedly from that of the groove.